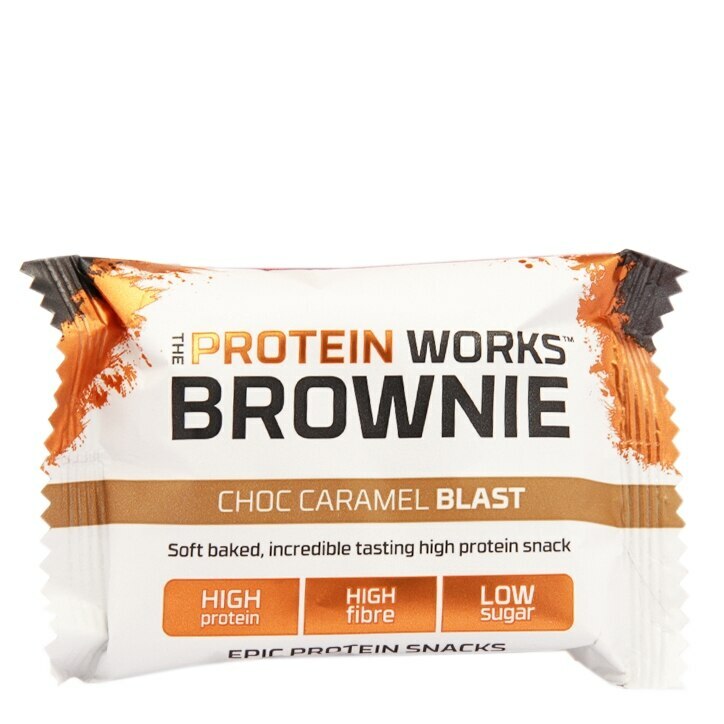 The Protein Works Brownie Choc Caramel Blast is rated 4.3 out of 5 by 3. Rated 5 out of 5 by Mantamagic from The best protein snack! This really does taste like an amazing brownie. I had tried a chocolate brownie from the protein works before but that had a poor chewy taste much like old fashioned protein bars. This caramel choc blast is something else. A little dry but crumbly and chocolatey like a good brownie should be! All good ingredients and relatively low in calories, also quite filling as well. I'll be back, for more!! Rated 4 out of 5 by dlw1968 from Bit expensive but nice tasting The brownie was more like a cake and for me that was perfect as I don't like gooey centres of brownies lol....taste was perfect, moorish and filling...if craving something sweet this product will definitely cure that without breaking the calories while giving you a good hit of protein.